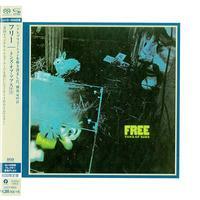 Tons of Sobs is the debut album by the English rock band Free, released on March 14, 1969. Although the album failed to chart in the U.K. and reached No. 197 in the U.S., Free are still cited as one of the definitive bands of the British blues boom of the late 1960s, even though this is the only album of their canon that can strictly be called blues rock. The title of the album does not relate directly to the content of the album; it is both a colloquialism of "lots of money," reflecting the swaggering attitude with which the album was made, and an oblique reference to the darker, more somber moments of the record. Free were a new band when they recorded Tons of Sobs, and they were extremely young; none of them was yet 20 and the youngest, bassist Andy Fraser, was just 16 years old. They had achieved a following through constant touring, and their debut album consisted for the most part of their live set-list. With the band signed to Chris Blackwell's Island Records, Guy Stevens was hired to produce the album (he later became notable for producing early albums for Mott the Hoople and The Clash's legendary 1979 album London Calling. He opted for a minimalist attitude to production, due to the extremely low budget of about £800, creating a very raw and raucous sound. As such, the album is a marked contrast in production terms from the band's later albums. The simple nature of the recording meant that many tracks translated well into a live setting and several songs from this album were still performed even when the band had written and recorded many more for subsequent records.